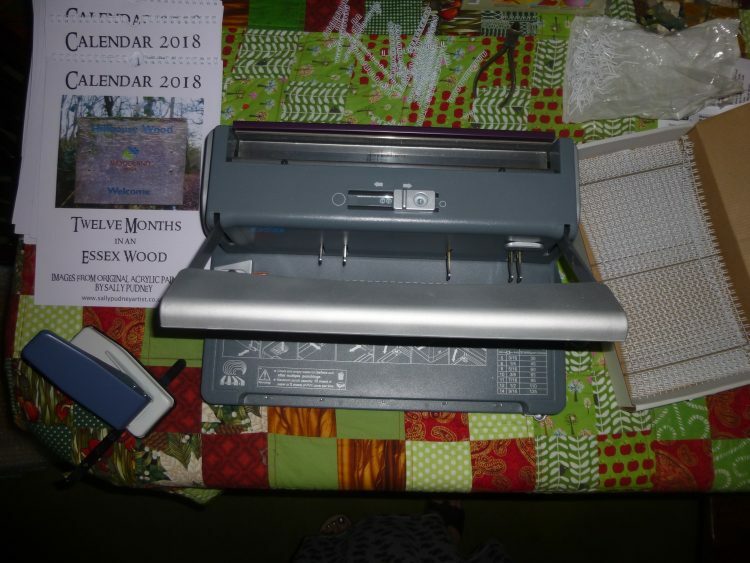 Yesterday I got the calendar binder out of its box, and set to! Last year I managed to ruin two of the calendars I’d printed by messing up the binding stage. But things are looking up! This year they all got bound with no mishaps. As a little light relief I drove over to Wormingford and Mount Bures to do some drawing. I intended to have a look at the field that already I’ve painted twice – in Before the Harvest, and Essex Field Path II – and see what it looked like after the harvest. Unfortunately, it has not had a cereal crop in it this year, and was not looking at all appealing. So I carried on to Mount Bures, to have a look at the church, which was open and beautifully kept. 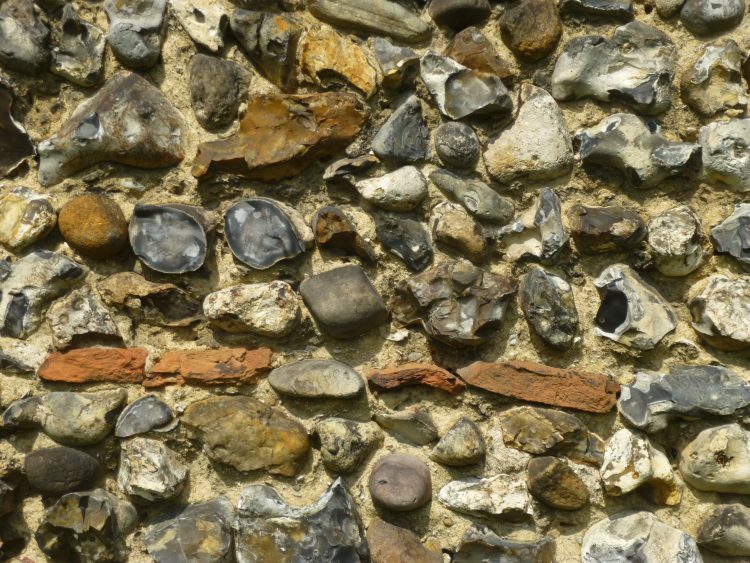 It is build of a rugged mix of flint and bits of brick in lovely colours. 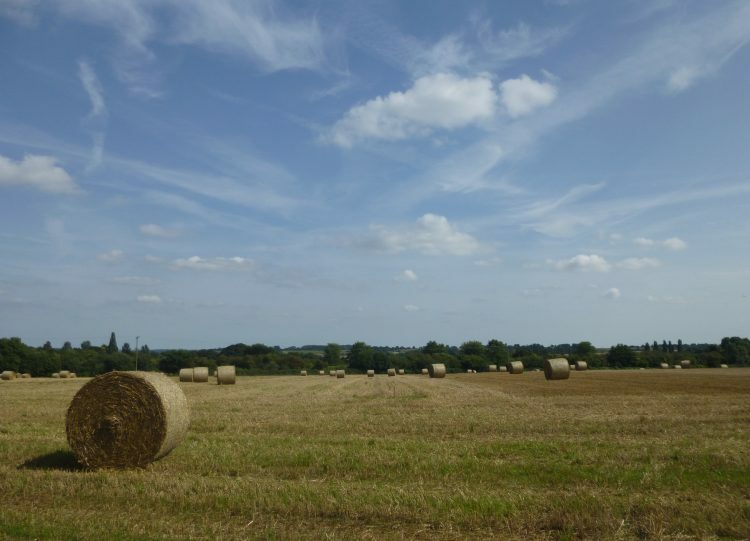 I also found some much better ‘post harvest’ fields in Mount Bures – with a lovely wispy sky as well.